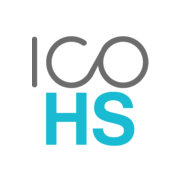 When we started ICO HeadStart™, our vision was and is to help ICOs make a successful start.So, we built the safest ICO fundraising platform that allows backers and project creators both benefit the most from the crypto-revolution. Not just with the help of industry insiders, but rather with the help of any user – The Wisdom of the Crowd. Of our profits, we use 80% to buy back MOAT from token holders. The remaining 20% will be used to give newly listed projects a head start through funding. We advise projects in best ICO practice. Our team of professionals will guide the projects in the right direction and will provide advice on everything that is needed from smart contracts to legal, marketing and technical support, in order to ensure they get a true head start. We want the right projects to participate and commit ourselves to lead with presenting ICOs that conform to community regulated and evolving best practices via the blockchain community.